OPI is growing and is expanding its education team. If you are a self-starter with an urge to share your knowledge and experience with other pros, consider applying for an Educator position with OPI. The #1 Salon Brand Worldwide is now accepting submissions for nail techs who want to take their nail career to the next level. Here, five reasons you should join team OPI. 1. Opportunity to travel. OPI Educators have the opportunity to travel either locally or nationally. OPI flies educators everywhere they are needed. There are also opportunities to travel internationally once the OPI Educator has attained Global Level. 2. OPI is an iconic and trusted brand. Every professional and consumer knows that OPI is a professional company, offering products you can stand behind and services that clients ask for by name. 3. OPI provides the training and tools you need to be successful. OPI offers two trainings per year. “We train on OPI’s newest launches and work on presentation skills. These trainings serve as a platform to reconnect and express any new ideas or opportunities from the field. We also offer monthly webinars that cover every OPI System and give educators the chance to ask questions. Each OPI Educator is assigned a Manager, who will guide them through all events and insure that they are successful in their classes,” says Elsa Barbi, OPI field education business manager. 4. Opportunity to be a mentor to other nail techs. Every time an OPI Educator has the opportunity to present OPI, they are mentoring other nail techs to be better nail techs, by teaching product knowledge, demos and hands-on workshops. 5. A successful long-term career path. OPI parent company COTY, offers positions that are available for all OPI Educators to apply. Recently, two OPI Educators moved into full-time positions within OPI. To learn more about career opportunities with OPI, visit here. Are you interested in becoming an OPI Educator? 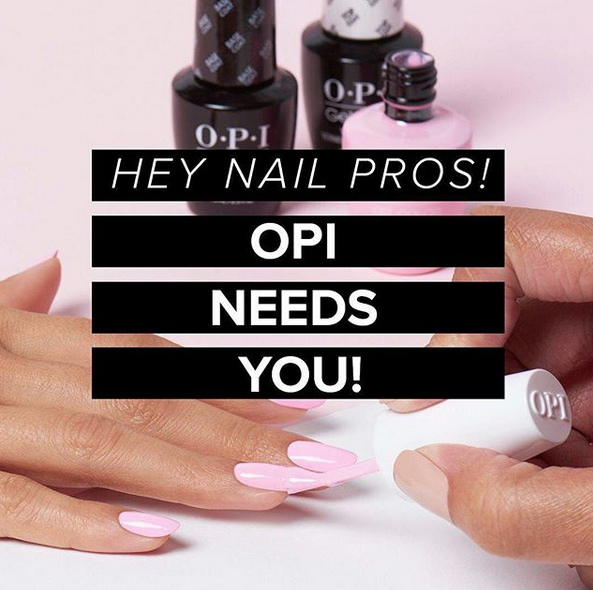 Send your resume to opi_recruiter@cotyinc.com. For more information visit opi.com/pro.